Can Bonastre Wine Resort manages to strike just the right note between rural seclusion and, at just 35 minutes from Barcelona, accessibility. Boutique in size and style it may be, but that doesn’t come at the expense of proper luxury facilities – not least in a fantastic range of spa treatments and therapies. As the name suggests, wine features pretty heavily in Can Bonastre’s appeal, and the hotel’s two fine dining restaurants showcase vintages from their very own vineyards. It’s all capped off – to absolutely stunning effect – with views across to the mountains of Montserrat. 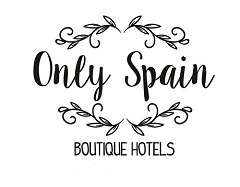 Secreted away in the heart of the Pyrenees, and with privileged access to the exclusive ski resort Baqueira Beret, La Pleta by Rafael Hotel is where Spain’s beautiful people winter. Small and unremittingly chic, there’s a couple of great in-house restaurants to choose from, and… not much else. Apart from peace, quiet and wonderful views stretching away in every direction!